Delightful card. So fresh and airy, and whimsical. Beautiful card Tina. And thank you so much for visiting mine and leaving such a nice comment. When I first received Gorgeous Grunge at Convention I really did not think I would ever use it but now I find myself reaching for it quite often. Your palette of colors works so well here. Great quick and easy card. 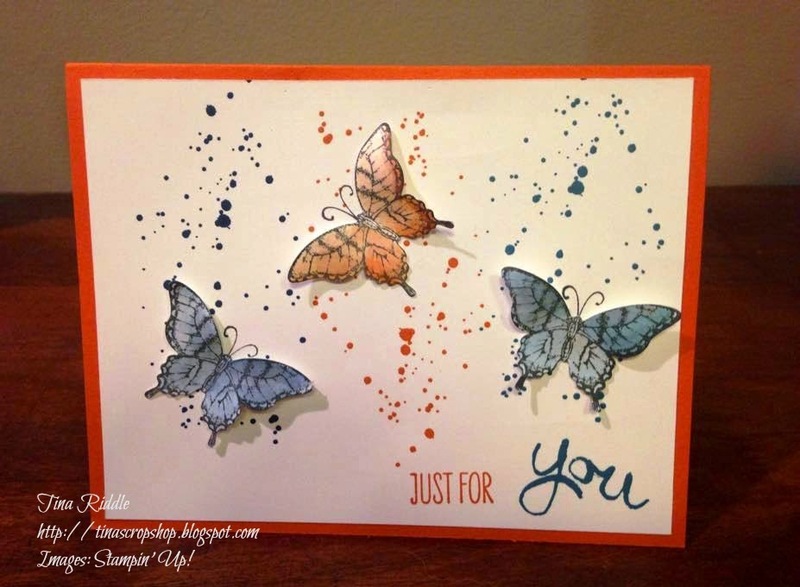 Love the colors and the scattered butterflies. 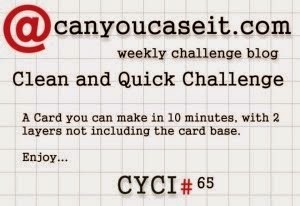 Thanks for playing along with us this week at CYCI? Beautiful card Tina. I love the splatters. Thanks for playing along this week.